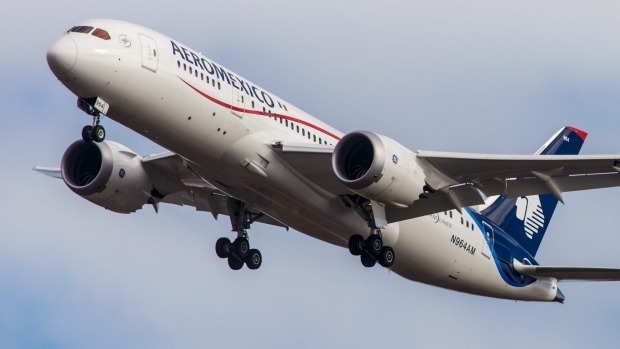 Aeromexico is literally rising above the debate over a wall on the border -- with a creative airline ad and promotion that encourages travel from the US to Mexico. The two-minute commercial, which features visuals of beautiful Mexican locations, could be seen as a trolling trifecta, tweaking anti-Mexican sentiment in the US and, without mentioning him, President Donald Trump and his anti-illegal immigration comments aimed at countries south of the US border. The slogan for the "DNA Discounts" campaign, "There are no borders within us," can be read as a swipe at Trump, whose disagreement with Congressional Democrats over money for a wall has led to a protracted partial-government shutdown. And, it may even complete a nifty bipartisan bank shot, with a DNA test offer that could be seen as a reference to the blowback Democratic presidential candidate and US Sen. Elizabeth Warren received when she tested her DNA for Native American blood. The commercial for the Mexican airline opens by saying, "Mexico's first destination is America," showing a fleet of jetliners flying north, before adding, "But America's first destination is not Mexico," as one lone plane flies in the opposite direction. To try to boost tourism from the US, the company goes to what it terms a "typical American town," Wharton, Texas, to ask people their thoughts on travelling to Mexico. It's not positive, at least from the selection of people featured on camera. One woman says, "No way," while a man responds, "Let me stay here in peace and let those folks stay on their side of the border." A conversation with one man points to the quandary: "Do you like tequila?" he is asked. "Yes." "Do you like burritos?" "Yeah." "Do you like Mexico?" "No." After that negative sampling of public opinion, the ad points out that Americans who have Mexican heritage are on the rise, even if many don't know it. That leads to an airline campaign, offering DNA tests to Americans and accompanying flight discounts based on their per centage of Mexican descent: "The more Mexican they are, the more discount they get." The ad says the tests were offered in a few southwestern states and 54 per cent of the people tested had some Mexican heritage. Responses vary. One man is told he is 18 per cent Mexican and he says, "Wow!" Another responds with a profanity when told he is 22 per cent Mexican. And a third person may just be thinking of taking a trip after she's told she can get 15 per cent off a flight that travels south of the border. "Yes," she says, pumping her fist. "I love discounts!" The video has received tens of thousands of likes after being posted on various Twitter handles.